Every day, November – March. 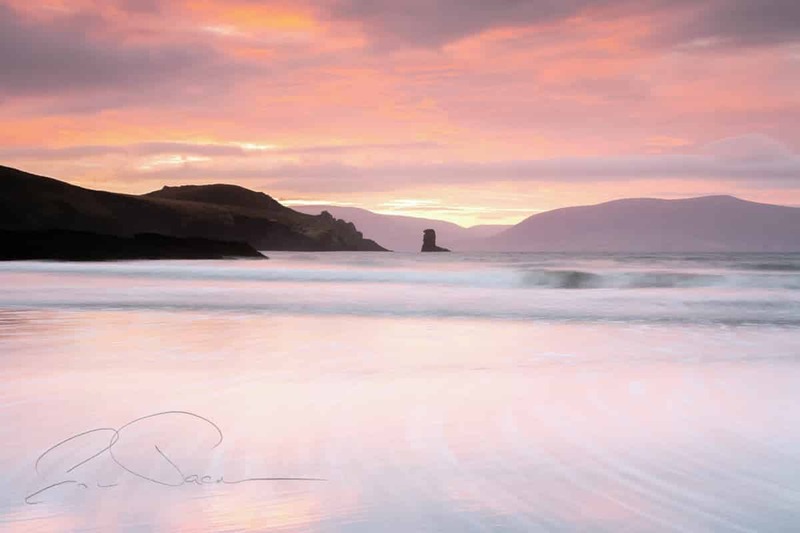 We begin before dawn, meeting in Dingle and travelling in our minibus to a carefully chosen location for the dawn and sunrise, making the most of the early morning light. Alternatively, you’re welcome to join this tour later in the morning, as we’ll be stopping back in Dingle for a short breakfast break following sunrise. After breakfast, we’ll continue our tour, visiting locations around the western part of the Dingle Peninsula. Even the shortest days of the year mean we’ll be touring or on locations for 7 or 8 hours although breaks will be shorter than they are in the autumn and spring. If there is any chill in the air or bite in the wind we’ll always take more regular short breaks indoors to warm up between locations. As I live locally I’m always up to date with all the handy places for tea, coffee and facilities, even in the depths of winter! 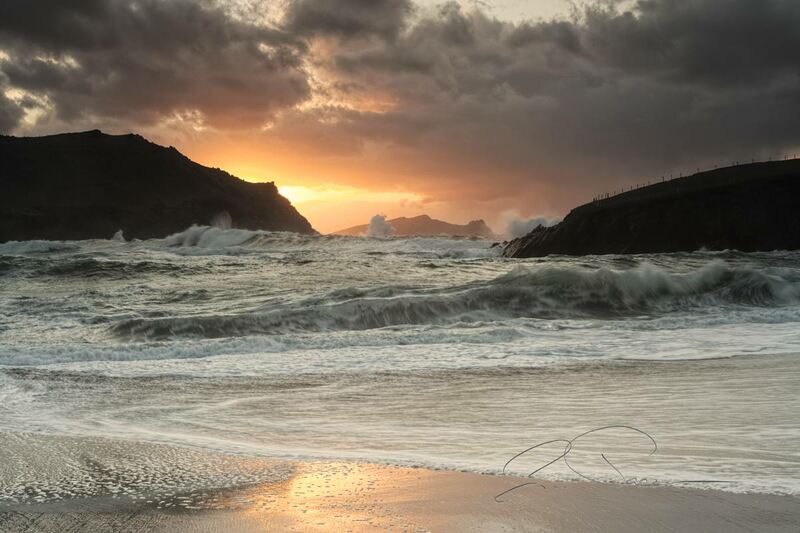 Following a break around mid-day for lunch, we’ll begin exploring some promising locations for the magic hours and perhaps be lucky and end the day with a sunset over the Blasket Islands. 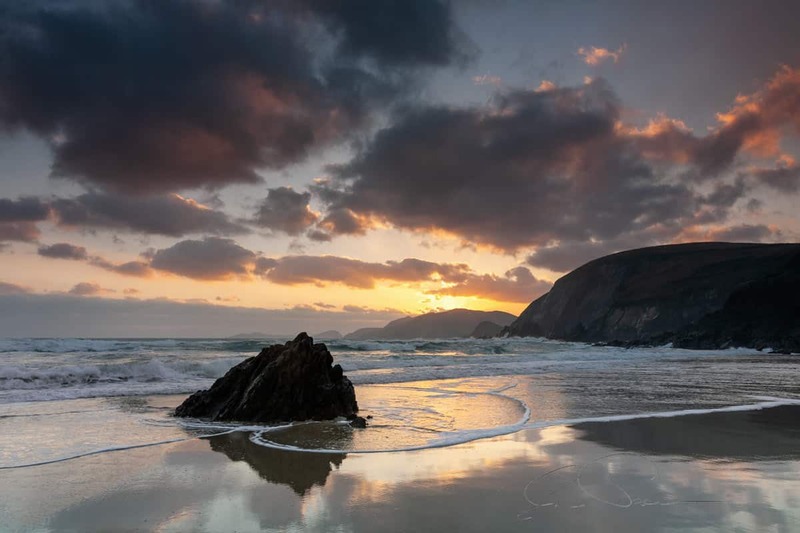 For the evening hours, participants are more than welcome to choose their own specific location if they wish, and be dropped off and collected, as there are a handful of excellent spots around the Dunquin and Coumeenoole areas that are within a couple of minutes’ drive of each other. While advice, hints and tips about settings, exposure, composition and filters are readily available on this tour (we also carry some filters and a few tripods that you’re welcome to experiment with), if you want to improve your techniques or learn to be more creative with your camera and its settings, why not take your own individual or small private group, beginners or landscape photography workshop on the day before, or following the tour! All locations on this tour are extremely easy to access from the minibus, one or two locations can require a moderate level of fitness and agility to explore them further, but they can all be photographed from our initial vantage point. Please contact us if you’re interested in accessing some of the more challenging locations around the peninsula and taking your own custom tour. If the weather’s forecast to be very poor on the above date, the tour will be arranged to the nearest fair day, if you can’t participate on an alternative day a full refund of any deposit or payment towards the tour will be made. 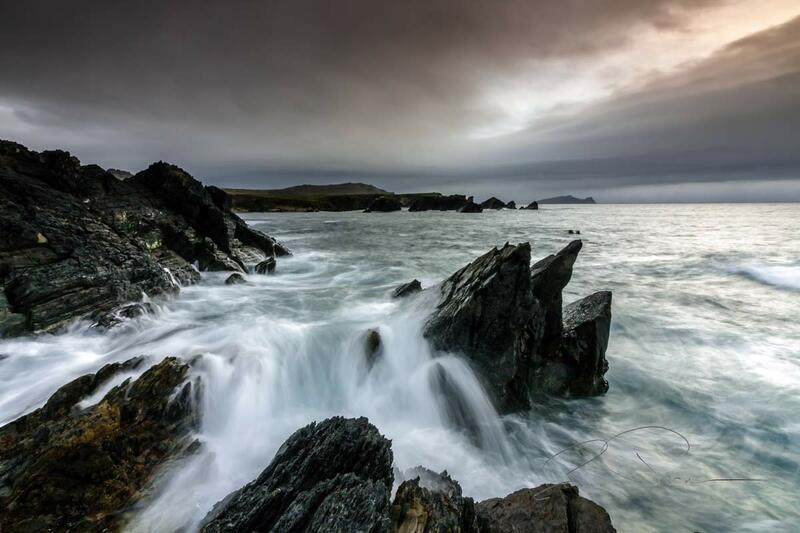 This tour begins in Dingle before dawn and returns after dusk. The tour begins in Dingle an hour before dawn. and returns after dusk. You’re more than welcome to bring snacks and a drink with you although there will be plenty of opportunities to get drinks, sandwiches and snacks and access facilities during the day. This tour is also available at any time as an individual adventure, please visit our Custom page for further information.